2017 looks bright for the smartphone industry. Image: ElSol. The year 2016 was good for the smartphone market. Innovation led the way and this translated to revenue and sales. A few setbacks plagued major companies, including Google, Samsung, and Apple, but it maintained a consistent growth overall. The second half of 2016 saw the most action with the late release of the iPhone 7, Google’s Pixel phones, and many others. Statistic analysis from online sources shows the market grew 4.3 percent from August to December, resulting in 344 million units sold throughout this period. The current market leader, Apple Inc., experienced a 7.7% decline in sales, putting its nearest competitor (Samsung) closer to surpassing it. However, the race is not over, and Samsung will need to keep their numbers steady if they wish to overtake the Cupertino-based company. How does the smartphone market look in 2017? Sales statistics are what media companies use to determine which company is leading the market. They represent the “market share,” which is the percentage of global sales held by a particular brand. Statistics come in quarters, periods of three months. In the third quarter of 2016 (July-September), Samsung held 20% of the market share, with Apple following closely at %12.5. Both sum 32.5 percent in total. Right below are three Chinese companies that made an impression during that time. Huawei with 9.3%, Oppo with 7% (their phones mainly sell in Asia), and BBK Communication Equipment with 5.8% (also responsible for Oppo and the best-selling OnePlus phones). The remaining 45.4 percent of the market share divides almost evenly between all of the other manufacturers worldwide. Apple’s iPhone was the first phone that popularized the concept of a ‘smartphone,’ a device that could make calls and send texts but also get online and help you with everyday tasks. This head start gave them an upper hand on the market that kept them at the top until Android came along. Google’s OS currently holds almost 90% of the entire market. The Cupertino-based company reported three consecutive quarterly declines that led to the percentage drop stated above. Demand for the iPhone 7 pushed numbers up a little bit, but not high enough to make it count. 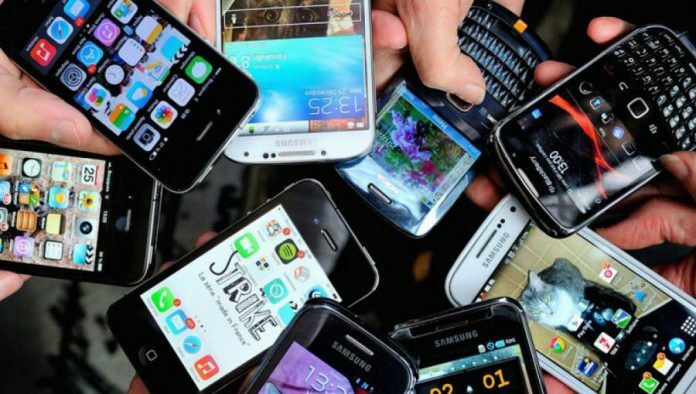 New polls have pointed out to a ‘rebound’ in smartphone sales that they attribute to the Chinese market, where people are buying more and more handsets each month. The primary concern for users this year appeared to be data security, and this is a growing trend. In 2017, the companies that manage to allure customers with the promise of more safety will indeed experience an increase in their market share. The Chinese market remains an almost entirely different realm, so in the West, market percentages will probably remain the same. Apple expects to grow from revamped supply of the iPhone 7, which is possible, but might not be enough to beat Samsung, which is already launching new phones this year.